Despite lingering economic and political uncertainty, 2012 has started out very strong for mergers & acquisitions in the green industry. Our list of recent transactions includes a broad range of deals in different industry segments and different types of transactions, including private equity and facilities management . So far, our predictions for 2012 are looking pretty square-on. We see green industry business owners looking for opportunities to strengthen and expand their businesses through acquisitions, either of similar businesses or of complementary businesses that expand the scope of services they offer their customers. In a similar way, we see companies that provide other facilities services seeking to add landscape services to their portfolio. Barring some unforeseen developments, we are expecting an outstanding year for acquisition activity within the industry. This month, in addition to our usual feature article and list of recent transactions, we are including a column entitled Current Business Opportunities. In this column, we list a variety of markets and industry sectors in which we are looking for either buyers or sellers. We are usually pretty quiet about the projects we are working on, but we thought it might be helpful to our readers (and us!) to give you some information on some of the projects we are working on now. If anything on the list sparks an interest, please feel free to give us a call or send us an email. As always, if you are considering buying or selling a green industry business or beginning the exit planning process, we’d like to speak with you. Please give us a call or send us an email. One of the things we always do when we take on a new client is to try to understand why they are thinking about selling their business. This is important for a whole host of reasons. From a business point of view, it helps us to understand how serious they are about selling. It also helps us position the business for sale. Prospective buyers usually want to have a very good understanding of why a business owner is selling, too. Are they selling because they see some unavoidable business downturn on the horizon? Are they selling because business is just becoming too hard, such as its becoming too difficult to adequately staff the business? Those are red flags to a potential buyer. On the other hand, there are all sorts of reasons to sell a business that make sense to everyone. One of the obvious ones is that the seller is planning for retirement. Another common one is that the seller wants to “take some chips off the table” and reduce risk by diversifying his or her portfolio. Other reasons that make a lot of sense are health issues or family issues. There are many others. Recently, I sat down with a new client to better understand his business and objectives. I asked him the question, “Why are you selling your business?” His answer was very thought provoking. He told me that he had a brother who had also been a business owner. His brother’s business involved manufacturing for the building industry. At its peak, his brother’s business had been almost wildly successful, generating substantial cash flows – far higher than those being generated by my new client’s company. He also had some desirable intellectual property – some important patents. He had been approached several times about selling his company, but it just didn’t make sense to him. The cash flow he was generating was too good to even seriously consider selling. Then the recession hit, and the impact on this man’s business was pretty dramatic. Since his business was construction-related, the drop off in revenues was even more acute than in companies in general. Eventually, the decision to close was inevitable. The auction of the equipment of a business that only recently had generated over $1 million in annual cash flow produced less than $200,000. His comment sank in for a moment and then I thought, “Wow, he’s really thought this through, and that makes a lot of sense.” He didn’t want to wait too long to address selling his business. He wanted to be able to sell his business on his terms. You really can wait too long. His brother did. Many business owners want to wait until business conditions improve. Others are too focused on the day-to-day challenges of running a business alongside life’s other challenges to even think about it. · What is my business worth now? · What can I do to improve the value of my business? · What risks are there that might diminish the value of my business between now and the time I might sell my business? The answers to those questions should be pretty thought-provoking. Thinking about these and others should help a business owner to answer the question as to when the time is right to start thinking about selling his or her business. A good number of transactions were reported in January, including private-equity backed transactions and acquisitions by facilities management companies. Lawn Doctor, Inc. has been acquired by Levine Leichtman Capital Partners of Beverly Hills, California. Lawn Doctor is a leading franchisor of residential lawn care businesses, with over 460 independently-owned franchise locations. Austin Outdoor, the Florida-based division of Yellowstone Landscape Group, has acquired the landscape management division of Cornerstone Solutions Group. This acquisition will significantly expand Austin Outdoor’s reach in the Tampa, Sarasota, Orlando and Jacksonville markets. Yellowstone Landscape Group is a portfolio company of Gridiron Capital. Go-Forth Pest & Lawn of HighPoint, North Carolina, has acquired Lake Norman Pest Control. Ferndale, Washington-based Minergy, Inc. has acquired Acute Lawn and Landscape of Bellingham, Washington. Minergy now has three divisions: land development and utilities, landscape and irrigation, and grounds maintenance. Los Angeles-based Dworsky Facilities Services, Inc. has merged with We Serve America. Dworsky sold its landscape maintenance business to The Brickman Group in 2011. The new company, known as We Serve America, adds janitorial and security services to the exterior maintenance, power sweeping, and environmental steam cleaning services already offered by Dworsky. We Service America will also provide interior plantscape design and maintenance. Stay Green, Inc. based in Santa Clarita, California, has acquired Wurzel Landscape, a Studio City, California-based commercial landscape maintenance company. Tucson-based Santa Rita Landscaping, Inc. has merged with Southwest Enviroscapes, Inc.  The combined company will be known as Santa Rita Landscaping, Inc.
Chicago-based The Millard Group, a national facilities management company, has acquired Preferred Landscape and Lighting of San Antonio, Texas. New Hampshire-based Lawn Dawg Inc. has acquired Connecticut-based Lush Lawn Service Inc.
Our projects representing buyers and sellers are handled on a confidential basis. However, this month we have decided to share some information on what we are working on right now. If there is a fit for your situation, please give us a call or send us an email. We represent several mid-size design/build/maintenance/snow companies in major markets in the Northeast and Mid-West. These are strong businesses with leadership positions in their markets that weathered the recession without a major contraction in their businesses. This is an attractive time for expansion, and these businesses represent exceptional opportunities. If you are interested in hearing more, please give us a call or send us an email. If you are thinking about selling your business, please give us a call or send us an email. We are also looking for lawn care businesses in the Midwest, Northeast, Mid-Atlantic, Southeast, Southwest and Colorado. Ron Edmonds’ latest book is Green Exit—Exit Planning for Lawn and Landscape Business Owners. Green Exit introduces lawn and landscape business owners to the basic concepts of exit planning, including defining your objectives, understanding the value of your business, improving and preserving the value of your business and developing a plan for exiting the business. The book discusses a variety of strategies, including third-party sales, private equity, transfers to family members or key employees and employee stock ownership plans. Green Exit targets all green industry business owners who either are or should be considering their business exit plans. Green Exit is available now in print and e-book formats directly from The Principium Group or from the publisher, FastPencil.com. It is also available through Amazon.com, BN.com, the iBook Store and other online retailers. Have you wondered just how sellable your business is? Here’s a chance to find out. Take this quiz and find out your business’s sellability score. You’ll receive your Sellability Score immediately, and then we will send you a 24-page report that provides additional feedback and schedule a complimentary phone call to discuss the results. As an added benefit, we’ll also send a complimentary PDF e-book copy of Green Exit—Exit Planning for Lawn and Landscape Business Owners to everyone who completes the Sellability Score quiz. Click here to take the Sellability Score Quiz today.